Nothing furnishes an office like a pile of fresh off the press books, especially when the lead poem just won an award, and the covers are so shiny and dramatic. If you preordered, your books are on the way. Official publication date 25th September. You can order now from our sales partners Inpress. If you asked for a review copy, it’s on its way. If you’d like a review copy, let us know. 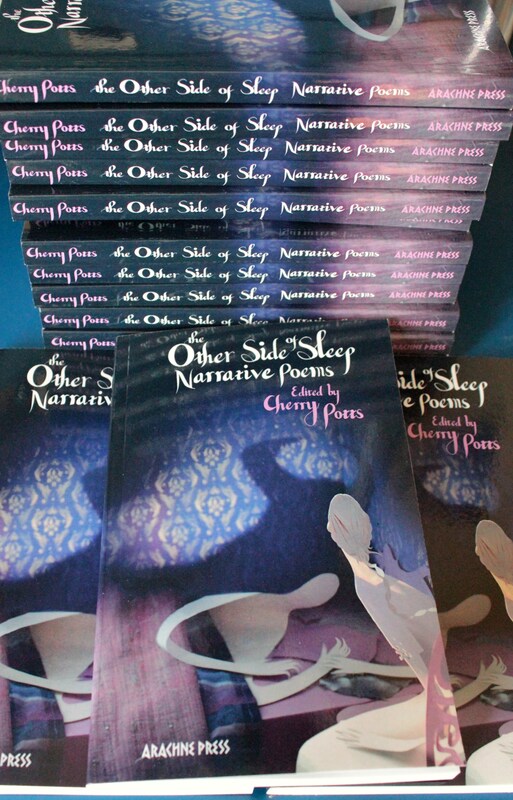 This entry was posted in Books, BUY BOOKS, Events, Launch, live literature, paperback, poetry, poetry, Publishing and tagged books, poetry, The Other Side of Sleep by Cherry Potts. Bookmark the permalink.